I hope you enjoy the article and feel free to use parts of it within your journey. Develop our team (coaching staff) to become better coaches so that the experiences our athlete will participate in will be exponentially better. This will lead to increased psychological, social, and physical development extending into our athletes. Develop our team to become better coaches who move onto successful coaching careers that highlight the Salisbury University Strength & Conditioning program paving the way for future great coaches to be woven into the matrix. Choosing the Right Team: Select the right person not necessarily the smartest or highly decorated (certified) person. Energizer versus Energy Drainers – Nobody wants to be around negative people. If you are around these type of people for any length of time, your determination and drive can become adversely affected. Energy Drainers will never get very far. We are looking for people who are nice, have positive attitudes, and are or want to be passionate about something. A passion creates energy and with development, energy can bread enthusiasm. We have those people looking to join our team write about who they are and how working with us fits into their future endeavors and then meet with me to converse about their future dreams and goals and how they would fit in within our program. If we have team members who meet the above description then I am confident my teaching ability can develop them into better coaches. Assessing the Team: If we don’t know our team’s abilities, then how do we know where to start with their development? We assess our team members with a few simple tests (performance/knowledge and coaching ability) that are then scored based off of our rubrics. Then we assign a mentor (Graduate Assistant) to each team member based off of who we feel will work well together to push each other to become better daily. I then mentor each graduate assistant. We are currently developing the idea of assessing our team members from a psychological/social skill standpoint (character values). What do we do if we have people who are not good communicators, or decision makers, or leaders for example? Can we adjust our development to the individual to enhance these crucial qualities that are influential to becoming a better coach? Each team member must set both outcome and process goals. The process goals serve as the action plan that will help them reach their outcome goals. These are a work in progress and continue to grow as the team progresses from semester to semester. Since we assessed our team members and have found different abilities and goals, why would we have them all doing the same thing? Our team members who score less than an 80% on their assessment fall into a Tier I category where their development involves shadowing the head coach, discussing articles with their mentor, and participating in a team’s training program. If you score an 80% or better, you fall into a Tier II category and your opportunities enhance as you begin to assist in coaching responsibilities. 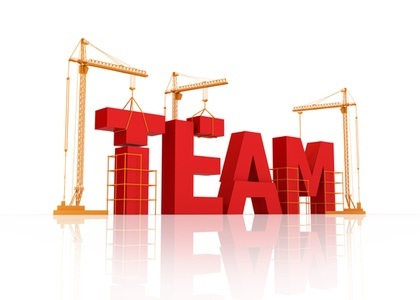 The development work involves the passing of seven competencies that systematically put our team into situations in which they can be successful. Once all competencies have been passed, the team members become more involved in the program implementation that allows for a video critique of their coaching. Team members also work with their mentor on developing and writing programs. The goal is to progress through the tier system by reaching a Tier III status which is identified by successful completion of the previous tiers and the passing of a nationally recognized certification (NSCA – CSCS or equivalent). Everyone needs to be on the same page progressing in the same direction. A cohesive group will work better together resulting in an enhanced experience for our athletes. We have biweekly developmental sessions where all team members get together to participate in areas that can enhance their coaching abilities. All training sessions start with a pre-session instructional meeting that allows team members to learn about the specifics for that day’s program and to ask questions. The training session will also have a wrap-up period to discuss areas that were performed well and areas that may need improvement. Teaching also occurs during the session on an individual basis. All team members are evaluated on the 4 core values. Since the team must progress through the tier system, this then serves as our knowledge evaluation. We leave an open note space for any other area that needs to be addressed both positive and negative. Each mentor (Graduate Assistant) plays a large role in the decisions that are made about the program. To do this they help implement our strategic plan and have specific action plans that allow our program to grow. Through evaluating the mentors we have not only been able to help them develop as a professional but also aid in the growth of our other team members and athletes. Remember that a successful program cannot only be defined by the efforts put forth by the athletes but also by the development of the assistant coaches to become the best that they are capable of becoming. Thanks for reading the post and let all of your friends know about the coaching and leadership development happening at EducatedCoaches.com!! !